The hugely anticipated Dhadak showcases the talent of Bollywood’s newest kids on the block; namely Jhanvi Kapoor and Ishaan Khattar. The film is a remake of the 2016 Marathi film Sairat and the question for many fans was, would director and writer Shashank Khaitan’s adaptation manage to hit the same heights as Sairat? Having seen both movies we can say while Sairat has its own raw, gritty and real charm, Dhadak is a force of its own. The story centres on two young lovers against the picturesque backdrop of Udaipur. 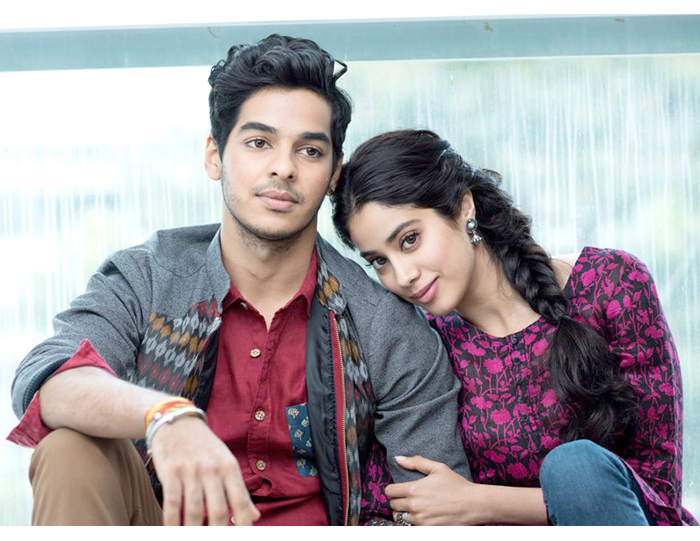 Madhukar Bhagla (played by Ishaan Khattar) and Parthavi Singh (Jhanvi Kapoor) have an undeniable chemistry from the offset, and it’s a pleasure to watch their pure and innocent young love blossom on-screen. But of course this is Bollywood, so it’s only a matter of time before the lovebirds hit their first hurdle. Parthavi is the daughter of a wealthy politician Ratan Singh (Ashutosh Rana) whereas Madhu is the son of a humble restaurant owner. When the families separately realise their children’s affections for each other there’s turmoil, violence and efforts to separate the two. The lovers are forced to flee from Udaipur to Mumbai to Kolkata where they attempt to start afresh, their rebellion bittersweet in that they know they can never return home. While slightly over-polished, Dhadak does its job in entertaining and tugging at those heartstrings. You’ll find yourself rooting for the young couple, laughing and crying with them. Most of this is down to the strong performances of new-gen Bollywood talents Ishaan and Jhanvi. Both at the start of their careers, the pair have a lot riding on this movie and we’re happy to report they did not disappoint. Dhadak isn’t your typical rich-girl-falls-for-unsuitable-boy cliché. Sure you’ll see the cute, fuzzy couplely stuff, but you'll also witness them struggling through the financial and emotional repercussions of their choice, showcasing the reality of their situation. 'Dhadak' star, Jhanvi Kapoor, wears Ralph & Russo archive couture to accept her award for ‘Fresh Face of the Year’ at the 2018 Vogue India Beauty Awards. Do the couple get their happily ever after? We would never dream of spoiling the end for you, so let’s just say it finishes on an unexpected note that will resonate long after you the screen fades to black. This is Shashank Khaitan’s darkest directorial to date but it’s most certainly worth the watch. Dhadak is a sensitive and thought-provoking film about love, the roses and the thorns. Dhadak is on general release in UK cinemas now.